Our company slogan is Better Prices, Better Service, Better Bathrooms which means that we always aim to offer the best quality products, at the best possible prices and offer the best level of service. We are always developing in each of these areas, be it designing and sourcing new products or investing in our customer service team. Our website offers 1000s of up to date, hand selected bathroom products. All of them come with reliable and genuine guarantees giving you piece of mind when you shop with us. Better Bathrooms has Showrooms and Trade Counters in Cardiff, Didcot, Edinburgh, Leigh, Leicester, Manchester, Romford, Slough, Warrington, Wigan and York. Tissino is a high quality bathroom brand now available in the UK. Inspired from our passion for Italian design and flair, Tissino designers are focused on creating high quality and high performance products always mindful of our ethos of inspirational simplicity. We specialise in hot,cold & boiling hot water all from the same tap,designed to revolutionise time spent in the kitchen,so there is more time for dinning with loved one & enjoying life. Welcome to Stonewood Our Exclusive bathroom Collection has been carefully chosen, bringing fine materials and design innovation to life. Including Bespoke Bathroom furniture,Painted bathroom furniture,Walnut Vanities,Vanity sink units,Double bathroom sinks,Contemporary Bathroom Vanity, Custom Built bathroom furniture,Free-standing bathroom cabinets,Oak bathroom cabinets,Vanity unit sinks,Marble top vanity units,hand crafted bathroom furniture, classic bathroom furniture uk We feel passionate about what we do and believe design within the home should be unique. Our Sales Team and bathroom designers will give you expert advise,with a combined 50 years experience in the bathroom and tile industry. Our Luxury Bathroom showroom located in Manchester has individual room settings showing off the latest designer bathrooms and tiles, giving you the opportunity to imagine how your room could look.We offer a Free Design service using the latest Design software,this allows us to create you a virtual image of the finished room. 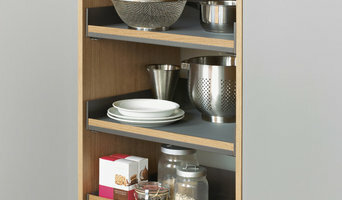 Appliance, Fitted kitchens, Fitted Bathroom and bedroom retailer in South Manchester servicing all of the North west. From Budget to Bespoke, we offer all types of services and accommodate all budgets and timescales. Family Business est 1977. What should I hire a Blackley, Greater Manchester kitchen and bathroom fixtures specialist for? Whether you are doing up a house you’ve moved into or you want to update your bathroom suite or fitted kitchen, working with a Blackley, Greater Manchester kitchen and bathroom fixtures specialist will be extremely helpful. Even if you want to source your own fitted kitchens and bathroom fittings from bathroom and kitchen showrooms, unless you are a skilled craftsman someone will have had to make the fixtures and unless you are a plumber you’ll probably need some help with installation! 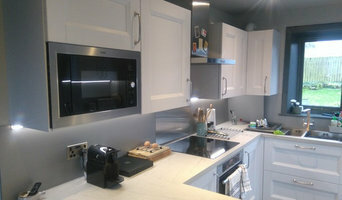 On Houzz you can find kitchen suppliers, manufacturers and installers of fixtures and fittings in Blackley, Greater Manchester to help with all aspects of the process. In the kitchen you can change more than just the sink and taps. Even without ripping out all the fitted kitchen units, you can still have bespoke kitchen doors made to replace the old ones and worktops laid over old surfaces or replacing them entirely. Instant boiling water taps, waste disposal units and induction hobs are just some of the gadgetry and convenient fixtures that are available for fitted kitchens from kitchen showrooms and suppliers. Take a look at the Blackley, Greater Manchester kitchen suppliers listed on Houzz to find out the sort of fixtures and fittings they offer. A bathroom isn’t a bathroom without its plumbing fixtures and good bathroom fixtures can make or break a home when it comes to selling potential. 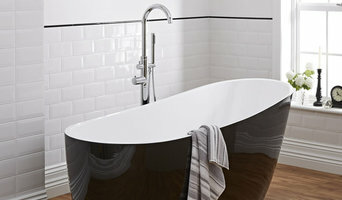 Take time to pick out bathroom fittings that work together; you can opt for a whole bathroom suite from a bathroom showroom or bathroom installer, but if you don’t want the overly matching look, a Blackley, Greater Manchester bathroom fittings specialist can help you choose individual but complementary pieces. Power shower installation can boost the appeal of your bathroom (no one likes a weak shower) and extra special features like his and hers sinks, shower body jets and roll top baths will give your bathroom style that added oompf. If you can’t stretch to extravagant bathroom fixtures you can still talk to a fixtures specialist about electric shower installation or installing a new toilet; it may seem like a lot of hassle at first, but when you leave it to a professional, all the hassle is taken off your hands. Many Blackley, Greater Manchester kitchen and bathroom designers will install or offer help with your fitted kitchens, bathroom fittings and fixtures, so if you want an all-in-one renovation service, you can contact these professionals on Houzz as well. Talk to kitchen showrooms, suppliers and bathroom stores to see if they offer their own installation service or can recommend a local Blackley, Greater Manchester installer for you. Here are some related professionals and vendors to complement the work of kitchen & bath fixtures: Kitchen & Bathroom Designers, Kitchen & Bathroom Fitters, Interior Designers, Cabinet Makers. Find kitchen or bathroom fixtures and fittings manufacturers on Houzz. Check out Blackley, Greater Manchester fitted kitchen showrooms and bathroom fittings installers on Houzz. You can also look through project photos provided by Blackley, Greater Manchester kitchen suppliers, bathroom renovators, showrooms and designers to find fixtures you like and contact the professional who installed them.